Thank you to those of you who already have donated to our GoFundMe campaign. So far, with the online donations and checks that have been sent to our office, we have raised more than $20,000 of our $50,000 goal! But we do have further to go, and with your help, we know we can get there. Jill: "I am the coordinator for a book group that has been in existence for 48 years (yes, 48!). The Book Report Network sites are invaluable to me as I work to keep our group members up to date on the latest books." Ann: "I work in a library and depend on the book reviews and author information to provide service to our patrons." Lenore: "I love books and love to read about them. Your reading guides are very helpful to our book club." 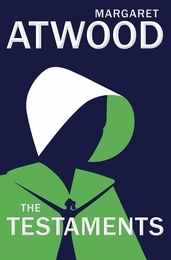 THE HANDMAID'S TALE, was revealed today. The book releases on September 10th. 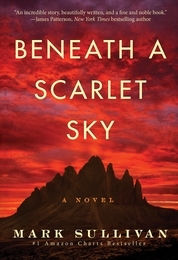 At this year's Winter Institute in Albuquerque, Carol heard about many upcoming books that appealed to her. Among them were ASK AGAIN, YES by Mary Beth Keane (in stores June 9th) and THE GUEST BOOK by Sarah Blake (in stores May 7th), both of which will be Bookreporter.com Bets On selections. Someone in my book group shared this article from Forbes on how “Book Clubs Are Thriving in the Internet Era.” This does not surprise me. I think that people are craving time to speak to each other in a live setting. We type and type all day long, and there are times when we want more meaty conversation than a tautly worded text or the pithy humor of a social media post. So often when I close a book, I am longing to talk about it with someone. As I read a number of advance copies, that becomes difficult as many of my friends do not have access to these books. Thus last week was wonderful, as I was at the American Booksellers’ Association’s Winter Institute in Albuquerque, New Mexico. There was a book room filled with galleys that I browsed through with bookseller friends. Some have the same taste as me, so we were pointing out the books that we were excited to share with one another. 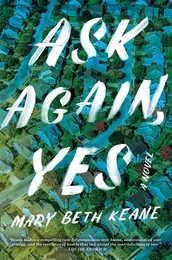 One book that many of us came away talking about was ASK AGAIN, YES by Mary Beth Keane. It’s the story of two families who live beside each other. Both of the husbands are police officers with young families. The wife of one clearly has some mental issues, and her actions send both families spinning. I found myself reading it whenever I had free time and happily finished it this week. 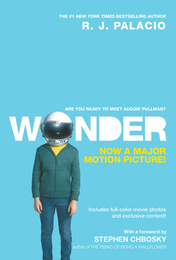 It will be in stores on June 4th and will be a Bookreporter.com Bets On pick. THE AGE OF LIGHT by Whitney Scharer is on sale next week and also will be a Bets On selection. I will be interviewing her at the Tucson Festival of Books in early March (you can see my schedule of upcoming appearances here), so it was nice to put a face to a name. This is one of the six prize books in our special Year-End contest (more on that in just a bit!). 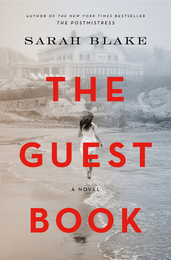 I was crazy about a book called THE POSTMISTRESS when it came out in 2010, so I was excited to talk to its author, Sarah Blake, whose upcoming novel THE GUEST BOOK is coming on May 7th and is poised to be a big book this summer. It’s set on an island in Maine that has been in a family since the ‘30s. It also examines the way that white-shoe Wall Street has changed through the years and has a bigger arching theme, as it's a look at class in America. And you may have guessed this: it, too, will be a Bets On title. Erin Morgenstern, who many of you may remember as the author of THE NIGHT CIRCUS, had a huge line as she signed galleys of THE STARLESS SEA, which will be out on November 5th. She had been in conversation with Margaret Atwood that morning. Margaret’s eagerly anticipated follow-up to THE HANDMAID’S TALE, THE TESTAMENTS, will be in stores on September 10th; the cover was revealed today. As promised, our list of the Most Requested Guides of 2018 is now available. We pulled together the 30 guides that were accessed the most by you last year. I was so happy to see your top pick: BENEATH A SCARLET SKY by Mark Sullivan, a #1 Amazon Charts bestseller that has been a ReadingGroupGuides favorite since its release two years ago and was a Bets On selection for 2017. Everyone who I have suggested this book to has raved about it. Rounding out the top five are WONDER by R. J. Palacio, TO KILL A MOCKINGBIRD by Harper Lee, SMALL GREAT THINGS by Jodi Picoult, and BEFORE WE WERE YOURS by Lisa Wingate. Click here for all 30 titles, which is an impressive mix of recent releases and classics in a variety of genres. We love seeing which guides were the ones that had the most appeal. We know that some may have ranked as they are used in schools, but chose to include all of the top 30 to give you an eye on what has been part of the conversation, even beyond what may be happening in your book group. If you haven’t had a chance to enter our aforementioned End-of-the-Year contest yet, we have some good news for you. We’ve decided to extend the deadline for your entries to Wednesday, February 6th at noon ET. 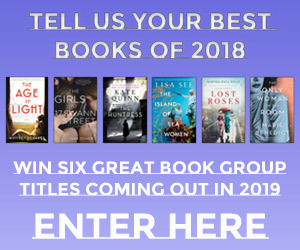 By sharing your favorite book that you read with your group in 2018 and your favorite book that you read outside your group, you will be eligible to win six titles releasing this year that we think are perfect for book group discussions: the aforementioned THE AGE OF LIGHT by Whitney Scharer, THE GIRLS AT 17 SWANN STREET by Yara Zgheib, THE HUNTRESS by Kate Quinn, THE ISLAND OF SEA WOMEN by Lisa See, LOST ROSES by Martha Hall Kelly, and THE ONLY WOMAN IN THE ROOM by Marie Benedict. One very lucky reader will be the proud recipient of all six of these books. We will share our reader-compiled "Best Of" list with you in the next newsletter, which will come your way the week of February 11th. We wanted to remind you about two other contests that are currently running on the site, both of which also have a deadline of Wednesday, February 6th at noon ET. 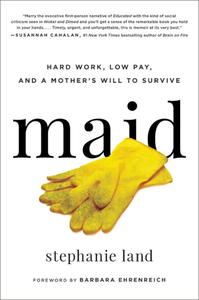 We’re awarding 12 copies of Stephanie Land’s memoir, MAID: Hard Work, Low Pay, and a Mother's Will to Survive, to five groups, who then will have an opportunity to chat with Stephanie via phone, Skype or FaceTime. Ten additional winners will receive a single copy of the book. Click here to fill out the entry form. A Book Expo buzz book last year, MAID is my latest Bets On pick; click here for my commentary. Also, don’t miss the discussion guide and our Bookreporter.com review. As I was writing this newsletter, I got word that MAID will debut on the New York Times bestseller list at #3! #1 is BECOMING by Michelle Obama, and #2 is EDUCATED by Tara Westover. Fun fact: These are three memoirs by women, each with a one-word title. 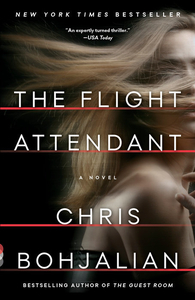 In our current “What’s Your Book Group Reading This Month?” contest, we’re giving three readers the chance to win 12 copies of THE FLIGHT ATTENDANT, Chris Bohjalian’s psychological thriller that is now available in paperback, for their group. Be sure to enter by filling out the form on this page. You can see the discussion guide here and our review on Bookreporter.com here. We’ve added two new guides to this update. 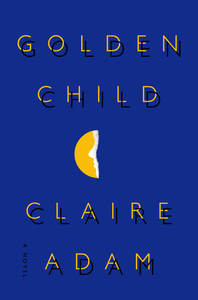 First up is GOLDEN CHILD by debut novelist Claire Adam, the latest title from Sarah Jessica Parker’s imprint, SJP for Hogarth, that introduces us to a family living in rural Trinidad. Clyde works long, exhausting shifts at a petroleum plant, while his wife, Joy, looks after the home. Their 13-year-old sons, twins Peter and Paul, wake up early every morning to travel to the capital, Port of Spain, for school. When Paul goes walking in the bush one afternoon and doesn't come home, Clyde is forced to go looking for him. As the hours turn to days, and Clyde begins to understand Paul’s fate, he is faced with a decision no parent should ever have to make. Please check out the discussion guide here and our Bookreporter.com review here. 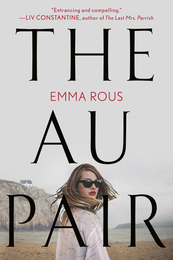 Our second new guide is for another debut novel, THE AU PAIR by Emma Rous, that also happens to revolve around twins. Seraphine Mayes and her twin brother, Danny, were born in the middle of summer at their family's estate on the Norfolk coast. Within hours of their birth, their mother threw herself from the cliffs and the au pair fled. Now an adult, Seraphine mourns the recent death of her father. While going through his belongings, she uncovers a family photograph that raises dangerous questions. It was taken on the day the twins were born --- and in the photo, their mother, surrounded by her husband and her young son, is holding just one baby. Who is the child, and what really happened that day? Click here for the discussion guide. I read this, and it was one very gripping story that was tightly plotted; I really enjoyed it. Our poll continues to ask the following: Outside of the reading that you do for your book group, how many books do you typically read or listen to in a month? Click here to let us know. The February pick for the PBS NewsHour-New York Times “Now Read This” book club is THE WIFE, Meg Wolitzer’s bestselling novel from 2003 that was adapted into a major motion picture last summer starring Glenn Close, who has snagged an Oscar nomination for her title role in the film. 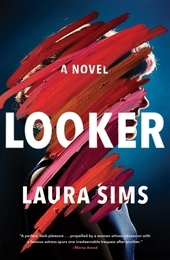 Learn more about the pick here, and read our Bookreporter.com review here. I have not seen this movie yet, but from the preview, I really want to! THE CLOCKMAKER’S DAUGHTER by Kate Morton was the January pick for Simon & Schuster’s Book Club Favorites program. Three members of the S&S team talked about the novel in a Facebook Live chat yesterday, which you can see in its entirety here. 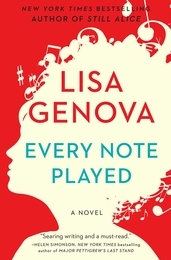 If you share your thoughts about the book in the comments section of the video, you will be eligible to receive a copy of their February pick --- which was revealed to be EVERY NOTE PLAYED by Lisa Genova (just out in paperback this week) --- along with all six of Kate Morton's books: THE CLOCKMAKER'S DAUGHTER, THE LAKE HOUSE, THE SECRET KEEPER, THE DISTANT HOURS, THE FORGOTTEN GARDEN and THE HOUSE AT RIVERTON. Five readers will be chosen to win this amazing prize package; to enter, all you have to do is comment about THE CLOCKMAKER’S DAUGHTER here by Tuesday, February 5th at 11:59pm ET. This week, Barnes & Noble announced the finalists for their Discover Great New Writers program. The fiction finalists are ONLY KILLERS AND THIEVES by Paul Howarth, A PLACE FOR US by Fatima Farheen Mirza, and THERE THERE by Tommy Orange. The nonfiction finalists are AMERICAN PRISON: A Reporter's Undercover Journey into the Business of Punishment by Shane Bauer, the aforementioned EDUCATED: A Memoir by Tara Westover, and HEAVY: An American Memoir by Kiese Laymon. The winners will be announced on March 6th. My new neighborhood book group is hosting their first meeting tonight. We are discussing LILAC GIRLS, which I had suggested. I am surprising the group as I have a few copies of Martha Hall Kelly’s prequel, the aforementioned LOST ROSES, that I am bringing to the meeting. It will be fun to share that with them. My other book group will be reading LOST ROSES in February; I am loving the chance to discuss this with them before the book comes out on April 9th. I missed our discussion of the aforementioned BECOMING on Monday, as we had my older son’s birthday celebration that night. I asked Tara, one of the group leaders, for a report on the group's conversation. She said, "The group all liked how they could relate to Michelle; they thought she was their new friend. They felt that it spurred a lot of conversation about gender inequalities, and we felt that she is giving a voice to a lot of women." Here's to a great next discussion with your book group. P.S. For those of you who are doing online shopping, if you use the store links below, ReadingGroupGuides.com gets a small affiliate fee on your purchases. We would appreciate your considering this! Our Most Requested Guides feature for 2018 has been updated. We took a look at all of the guides that you accessed last year, and from there we pulled together a list of the top 30 titles. Below are the 10 most popular guides, and you can click here for the full list. We love seeing which books resonated the most with you and your group! Click here for the complete list of the Most Requested Guides of 2018. We are celebrating the recent release of MAID: Hard Work, Low Pay, and a Mother's Will to Survive with a special contest that will give five groups the chance to win 12 copies of Stephanie Land's eye-opening memoir, plus the opportunity to chat with the author. Ten additional readers will be awarded one copy of the book, which exposes the reality of pursuing the American dream from below the poverty line. To enter, please fill out this form by Wednesday, February 6th at noon ET. At 28, Stephanie Land’s plans of breaking free from the roots of her hometown in the Pacific Northwest to chase her dreams of attending a university and becoming a writer were cut short when a summer fling turned into an unexpected pregnancy. She turned to housekeeping to make ends meet. With a tenacious grip on her dream to provide her daughter the very best life possible, Stephanie worked days and took classes online to earn a college degree, and began to write relentlessly. 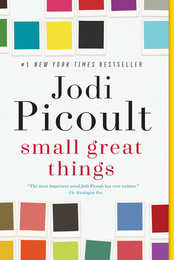 She wrote the true stories that weren’t being told: the stories of overworked and underpaid Americans. Of living on food stamps and WIC (Women, Infants and Children) coupons to eat. Of the government programs that provided her housing, but that doubled as halfway houses. The aloof government employees who called her lucky for receiving assistance while she didn’t feel lucky at all. She wrote to remember the fight, to eventually cut through the deep-rooted stigmas of the working poor. MAID explores the underbelly of upper-middle class America and the reality of what it’s like to be in service to them. “I’d become a nameless ghost,” Stephanie writes about her relationship with her clients, many of whom do not know her from any other cleaner, but who she learns plenty about. As she begins to discover more about her clients’ lives --- their sadness and love, too --- she begins to find hope in her own path. Her compassionate, unflinching writing as a journalist gives voice to the “servant” worker, and those pursuing the American Dream from below the poverty line. MAID is Stephanie’s story, but it’s not her alone. It is an inspiring testament to the strength, determination and ultimate triumph of the human spirit. - Click here for the discussion guide. - Click here to watch the book trailer. Our latest prize book is THE FLIGHT ATTENDANT by Chris Bohjalian, which is now available in paperback. In this spellbinding psychological thriller, a flight attendant wakes up in the wrong hotel, in the wrong bed, with a dead man --- and no idea what happened. To enter, please fill out the form on this page by Wednesday, February 6th at noon ET. Cassandra Bowden is no stranger to hungover mornings. She's a binge drinker, her job with the airline making it easy to find adventure, and the occasional blackouts seem to be inevitable. She lives with them, and the accompanying self-loathing. When she awakes in a Dubai hotel room, she tries to piece the previous night back together, counting the minutes until she has to catch her crew shuttle to the airport. She quietly slides out of bed, careful not to aggravate her already pounding head, and looks at the man she spent the night with. She sees his dark hair. His utter stillness. And blood, a slick, still wet pool on the crisp white sheets. Afraid to call the police --- she's a single woman alone in a hotel room far from home --- Cassie begins to lie. She lies as she joins the other flight attendants and pilots in the van. She lies on the way to Paris as she works the first class cabin. She lies to the FBI agents in New York who meet her at the gate. Soon it's too late to come clean --- or face the truth about what really happened back in Dubai. Could she have killed him? If not, who did? Set amid the captivating world of those whose lives unfold at 40,000 feet, THE FLIGHT ATTENDANT unveils a spellbinding story of memory, of the giddy pleasures of alcohol and the devastating consequences of addiction, and of murder far from home. - Click here to read a review on Bookreporter.com. One Grand Prize winner will be awarded all six of these books. Please note: Your favorite book that you discussed with your group CAN be the same as your favorite book of the year. And they don't need to have been published in 2018. Also, please be careful with the spelling of book titles and authors’ first and last names to save us editing time. To enter, please fill out this form by Wednesday, February 6th at noon ET. We will share our reader-compiled "Best of 2018" list with you in the next newsletter. We cannot wait to see what you select! Click here to share your favorite books of 2018 and enter the contest. A new book from Sarah Jessica Parker’s imprint, SJP for Hogarth, GOLDEN CHILD is a deeply affecting debut novel set in Trinidad, following the lives of a family as they navigate impossible choices about scarcity, loyalty and love. Click here for the discussion guide. Budapest: gorgeous city of secrets, with ties to a shadowy, bloody past. It is to this enigmatic European capital that a young American couple, Annie and Will, move from Boston with their infant son shortly after the fall of the Communist regime. For Annie, it is an effort to escape the ghosts that haunt her past and Will wants simply to seize the chance to build a new future for his family. Eight months after their move, their efforts to assimilate are thrown into turmoil when they receive a message from friends in the US asking that they check up on an elderly man, a fiercely independent Jewish American WWII veteran who helped free Hungarian Jews from a Nazi prison camp. They soon learn that the man, Edward Weiss, has come to Hungary to exact revenge on someone he is convinced seduced, married and then murdered his daughter. Annie, unable to resist anyone’s call for help, recklessly joins in the old man’s plan to track down his former son-in-law and confront him, while Will, pragmatic and cautious by nature, insists they have nothing to do with Weiss and his vendetta. What Annie does not anticipate is that in helping Edward she will become enmeshed in a dark and deadly conflict that will end in tragedy and a stunning loss of innocence. 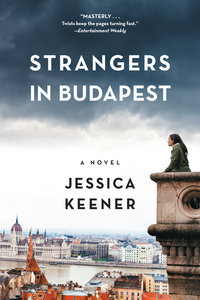 Atmospheric and surprising, STRANGERS IN BUDAPEST is, as bestselling novelist Caroline Leavitt says, a “dazzlingly original tale about home, loss and the persistence of love. Click here for the featured guide. As the storm is fast approaching the Louisiana coast, Cora Boisdoré refuses to leave the city. Her parents, Joe Boisdoré, an artist descended from freed slaves who became the city’s preeminent furniture makers, and his white “Uptown” wife, Dr. Tess Eshleman, are forced to evacuate without her, setting off a chain of events that leaves their marriage in shambles and Cora catatonic --- the victim or perpetrator of some violence mysterious even to herself. 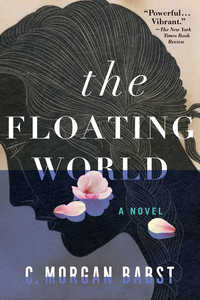 THE FLOATING WORLD is the Katrina story that needed to be told --- one with a piercing, unforgettable loveliness and a vivid, intimate understanding of this particular place and its tangled past. Below are a number of books releasing in January for the first time (which we aren't currently featuring on the site) that we think will be of interest to book groups. When Jessica Farris signs up for a psychology study conducted by the mysterious Dr. Shields, she thinks all she’ll have to do is answer a few questions, collect her money and leave. But as the questions grow more and more intense and invasive, she begins to feel as though Dr. Shields may know what she’s thinking…and what she’s hiding. 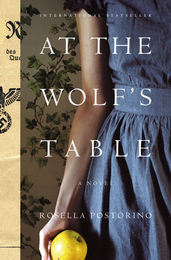 AT THE WOLF'S TABLE is the internationally bestselling novel based on the untold true story of the women conscripted to be Hitler’s food tasters. One night in an isolated college town, a first-year student stumbles into her dorm room, falls asleep --- and doesn’t wake up. Her roommate, Mei, cannot rouse her. Neither can the paramedics, nor the perplexed doctors at the hospital. When a second girl falls asleep, and then a third, Mei finds herself thrust together with an eccentric classmate as panic takes hold of the college and spreads to the town. In the spring of 2016, through a genealogy website to which she had whimsically submitted her DNA for analysis, Dani Shapiro received the stunning news that her father was not her biological father. 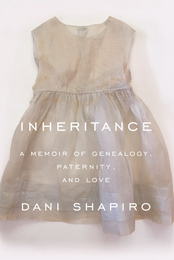 INHERITANCE is a book about secrets --- secrets within families, kept out of shame or self-protectiveness; secrets we keep from one another in the name of love. Alexandr, Christine, Zachary and Lydia have been friends since they first met in their 20s. Thirty years later, Alex and Christine are spending a leisurely summer’s evening at home when they receive a call from a distraught Lydia: she is at the hospital. Zach is dead. In the wake of this profound loss, the three friends find themselves unmoored; all agree that Zach, with his generous, grounded spirit, was the irreplaceable one they couldn’t afford to lose. An unraveling woman becomes fixated on her neighbor --- the actress. The unnamed narrator can’t help noticing with wry irony that, though they live just a few doors apart, a chasm of professional success and personal fulfillment lies between them. When an interaction with the actress at the annual block party takes a disastrous turn, what began as an innocent preoccupation spirals quickly into a frightening and irretrievable madness. From the author of the runaway bestseller THE ORPHAN'S TALE comes a remarkable story of friendship and courage centered on three women and a ring of female secret agents during World War II. She possessed a stunning beauty. She also possessed a stunning mind. Could the world handle both? 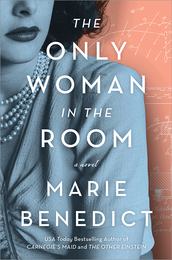 Marie Benedict’s latest novel is based on the incredible true story of Hedy Lamarr, the glamour icon and scientist whose groundbreaking invention revolutionized modern communication. When two 18-year-old girls go missing in Thailand, their families are thrust into the international spotlight: desperate, bereft and frantic with worry. What were the girls up to before they disappeared? Two estranged sisters, raised in Brooklyn and each burdened with her own shocking secret, are reunited at the Springfield Armory in the early days of WWII. Resentment festers between the two, and secrets are shattered when a mysterious figure from the past reemerges in their lives. Click here to read more of Carol's commentary on MAID. THE ONLY WOMAN IN THE ROOM. I always approach an author’s --- in this case authors’ --- second book with some trepidation. THE WIFE BETWEEN US by Greer Hendricks and Sarah Pekkanen was a huge success, thus setting a high bar. I liked AN ANONYMOUS GIRL even more! I had no idea where the story was headed at the beginning, but I was completely pulled in. And whoosh, from there it was page-turning. I was not sure who to believe as the story twisted round and round. Click here to read more of Carol's commentary on AN ANONYMOUS GIRL. for Yourself or Your Valentine! Valentine's Day is only a few heartbeats away. We can't think of a better way to celebrate this special day than to cuddle up with your loved one...and a good book, of course! We're giving readers the chance to win one of our five Bookreporter.com Valentine's Day prize packages, which includes one copy of each of our featured titles and some delicious chocolates. Be sure to enter between now and Monday, February 11th at noon ET for your opportunity to be a lucky (and beloved!) winner. If you're feeling frisky, share with us your all-time book character crush. Don't be shy, we all got 'em! We'll post the top 10 literary loves and lusts --- along with the five winners --- shortly after the contest ends. Our Winter Reading Contests and Feature have returned for a fifth year! On select days between now and February 15th at noon ET, we are hosting a series of 24-hour contests spotlighting a book releasing this winter (or a book publishing in the spring that we would like to get on your radar now) and giving five lucky readers a chance to win it. We also are sending a special newsletter to announce the day's title, which you can sign up for here. 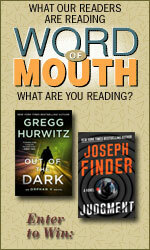 "Word of Mouth" and "Sounding Off on Audio"
Tell Us What You're Reading --- and You Can Win Two Books! Tell us about the books you’ve finished reading with your comments and a rating of 1 to 5 stars. During the contest period from January 18th to February 1st at noon ET, three lucky readers each will be randomly chosen to win a copy of JUDGMENT by Joseph Finder and OUT OF THE DARK: An Orphan X Novel by Gregg Hurwitz. To make sure other readers will be able to find the books you write about, please include the full title and correct author names (your entry must include these to be eligible to win). For rules and guidelines, click here. on Friday, February 1st at noon ET. 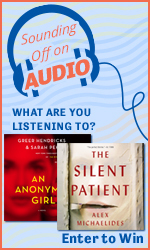 Tell Us What You're Listening to --- and You Can Win Two Audiobooks! Tell us about the audiobooks you’ve finished listening to with your comments and a rating of 1 to 5 stars for both the performance and the content. 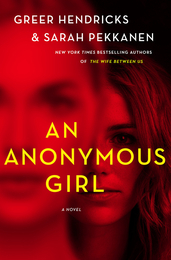 During the contest period from January 2nd to February 1st at noon ET, two lucky readers each will be randomly chosen to win the audio versions of Greer Hendricks and Sarah Pekkanen's AN ANONYMOUS GIRL, read by Barrie Kreinik and Julia Whelan, and Alex Michaelides' THE SILENT PATIENT, read by Jack Hawkins and Louise Brealey. To make sure other readers will be able to find the audiobook, please include the full title and correct author names (your entry must include these to be eligible to win). For complete rules and guidelines, click here. In this gorgeous debut novel set in New Orleans during Hurricane Katrina and its aftermath, three generations of the Boisdoré family --- suddenly fractured along the lines of race and class --- must figure out what they can salvage of their lives and their beloved home, and what they can build out of what remains. This deeply affecting debut novel --- the latest from Sarah Jessica Parker's imprint, SJP for Hogarth --- is set in Trinidad and follows the lives of a family as they navigate impossible choices about scarcity, loyalty and love. In her “vivid and engaging” (Roxane Gay) memoir, former domestic worker Stephanie Land gives voice to the working poor and exposes the reality of pursuing the American dream from below the poverty line. When a young American couple, Annie and Will, move to Budapest shortly after the fall of the Communist regime, they have high hopes for their future in the enigmatic city. But Annie soon finds herself enmeshed in a stranger’s plan to avenge his daughter’s death. The instant New York Times and #1 Sunday Times bestselling author of THEN SHE WAS GONE delivers another suspenseful page-turner about a shocking murder in a picturesque and well-to-do English town. From neuroscientist and New York Times bestselling author of STILL ALICE comes a powerful and heartbreaking exploration of regret, forgiveness, freedom and what it means to be alive. From the author of THE GUEST ROOM comes a powerful story about the ways an entire life can change in one night. A flight attendant wakes up in the wrong hotel, in the wrong bed, with a dead man --- and no idea what happened. 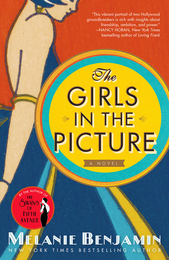 From the bestselling author of THE SWANS OF FIFTH AVENUE and THE AVIATOR'S WIFE comes a fascinating novel of the friendship and creative partnership between two of Hollywood’s earliest female legends --- screenwriter Frances Marion and superstar Mary Pickford. Outside of the reading that you do for your book group, how many books do you typically read or listen to in a month? Click here to vote in the poll by Wednesday, February 6th at noon ET. Please visit the other websites in TheBookReportNetwork.com: Bookreporter.com, 20SomethingReads.com, GraphicNovelReporter.com, Teenreads.com, Kidsreads.com and AuthorsOnTheWeb.com. And be sure to connect with us on Facebook and Twitter.